I was not in the Philippines to witness right before my very eyes how the city to which I grew up was devastated by a killer flood brought about by "habagat". 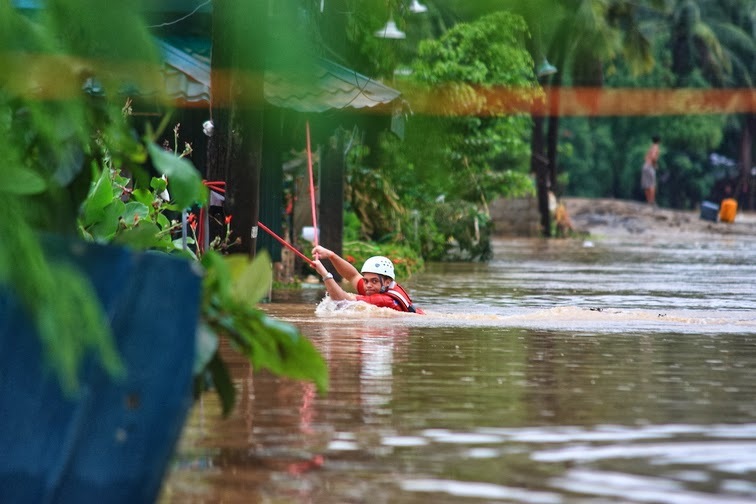 The ravaging flood left many families homeless and worst than that, had taken the lives of more than a hundred victims all over Zambales. I believed it must really be a great flood. Though our subdivision is considered a low lying area, my house never gets affected by the flood as we purposely have it elevated during the construction stage as we knew the danger that we have to face with countless typhoons in the Philippines year after year. We've been in that house for about 10 years or so but we never get flooded at least, inside the house. So this recent flooding was least expected and my kids back home were not ready. Some of our important documents got wet and everything inside the house was a disaster. But I am still thankful that my family is safe. Their lives are more important than any material possession. I was so worried about my old aged Mom who was left under the care of a house helper and kids. Thanks God she's okay. There's no doubt that this calamity had brought us some valuable lessons in life. Emergency preparedness is one thing. Don't be too confident as any thing can happen at any moment. 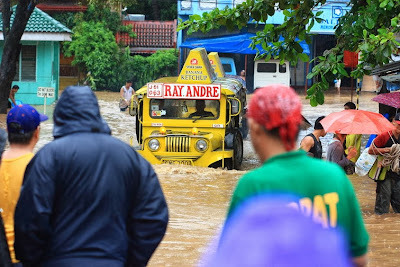 As we were never stricken by a flood for the past 10 years, it made us confident that our house is safe not until a great flood struck the city last September 23. I feel equally sad for other families who were greatly affected, worse than ours. Those families with small children who needed to find their way to the top of their roofs. Other families residing in Olongapo, Subic and Zambales had reportedly evacuated and now found a temporary shelter at the evacuation centers. Some people lost their lives, too. 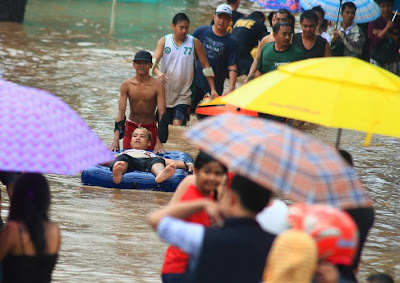 I hope this thing will never happen again but we are not so certain as most parts of the Philippines get flooded every year. In fact, this is not the first calamity that struck our city. I had the worst nightmare when Mt.Pinatubo erupted many years ago. I hope things will be better for all of us. Restoration projects will never be so easy I know, but it can be done. I prayed for those families who are still at the evacuation centers. Hope they will be able to find comfort in their own homes, soon. I pray for everyone's safety and fast recovery from the flood aftermath. As the saying goes, "There's always a light at the end of a tunnel." I am sorry to hear about what happened to your family especially to your mom but still God is good for sparing their lives. I am one with you in praying for those affected families Sis. Sana makabangon sila agad at mabigyan din ng konting tulong kahit papano.